Far too often I see that exercise perscription for the “core,” or for “spinal stability” in low back pain patients begins and ends with the classic McGill sets – cross crawl, side plank, safe curl. But as I have noted in blog posts in the past, there is a simple rule for rehabilitation that applies across the board for any condition and for any patient….and that is the rule of PROGRESSION. The entire topic/’world’ of ‘Rehabilitation’ can be summed up as follows….Provide the tissue with manageable, incremental insults (loads) allowing the body enough time in between progressions to adapt. That’s it. If the bodies tissues are progressively loaded, the body will adapt in a way that will ‘deal’ with said loads more effectively, and efficiently. Thus for those with chronic low back pain, we can’t stop at a certain set of exercises and loads or the performance of these exercises will no longer trigger the bodies adaptation processes…. ie. 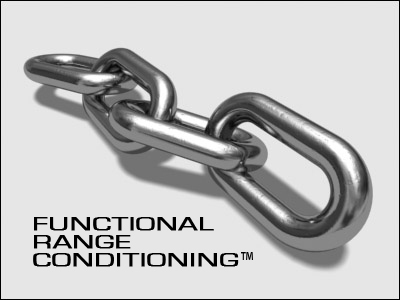 the usefulness of the exercise/rehab program stops….but the goal of rehab should be not only to deal with a ‘condition’ or ‘symptom,’ it should be to better the persons mechanics thus preventing problems in the future. Just some thoughts…. and here are some videos of strength coach Mark Rippetoe describing the anatomy and mechanics of the deadlift.